The United States Navy has a natural interest in Solar radiation because of its impact on radio communications on Earth. During the 1950s, attempts were made to measure radiation from Solar flares using rockets, but it took the advent of the satellite age for the field to mature. The SOLRAD (SOLar RADiation) satellite program began in 1960 and continued until 1976, making it one of the longest-running series of satellites devoted to a single research program. 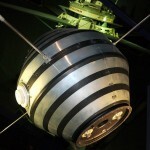 Early SOLRAD satellites were launched with the then-classified GRAB (Galactic Radiation And Background) satellites, the United States’ first intelligence satellites, designed to intercept Soviet signals. 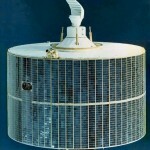 The first SOLRAD/GRAB mission was the first multiple-satellite launch. It determined that radio fade-outs were caused by Solar X-ray emissions, was the first orbital observatory and the first satellite to be commanded to shut off. 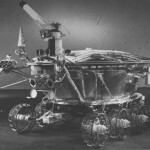 SOLRAD 8, also known as Explorer 30 or SE-A (Solar Explorer A), was fabricated by the NRL (Naval Research Laboratory) and launched at 4:48 UTC on 19 November 1965 from Wallops Island. 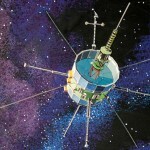 The satellite was part of the International Quiet Sun Year program, studying the Solar minimum, transmitting data back to Earth and the Spacecraft Tracking and Data Acquisition Network (STADAN). 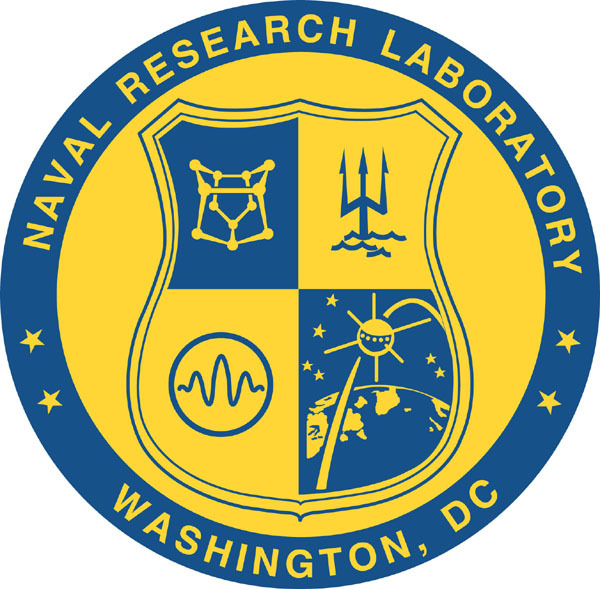 Emblem of the Naval Research Laboratory. 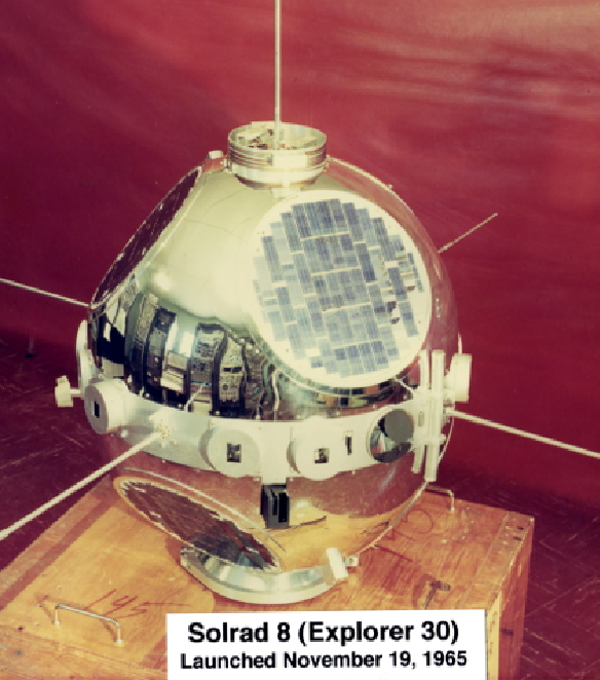 A 56.7 kilogram satellite of the aluminium ball family, SOLRAD 8 consisted of two 24-inch hemispheres with a 3.5-inch band, fitted with six solar panels and 14 equatorial solar X-ray and ultraviolet photometers. 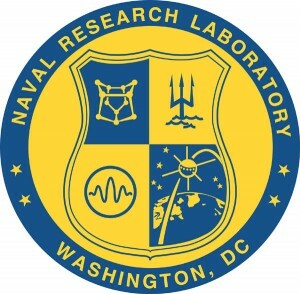 A satellite of somewhat similar design is depicted on the emblem of the Naval Research Laboratory. SOLRAD 8 was the first satellite to use a new series of millipound gas thrusters to hold itself with its spin axis perpendicular to the Sun. Rotating at 60 rpm, each of its photometers would view the sun with each revolution. Unfortunately, the spin system didn’t work as planned, and the satellite gradually slowed to 4 rpm on 12 September 1966. A respin command from ground control succeeded but exhausted the ammonia gas supply for the thrusters, after which it slowed again to 10 rpm in August 1967. As the satellite slowed, data dropped off, ending on 5 November 1967. For keen space archaeologists with telescopes, SOLRAD 8 is still in orbit, along with the Scout rocket body that launched it and some associated debris. Another piece of debris decayed in 2009. See also: SOLRAD 8 entry at National Space Science Data Center SSDC.